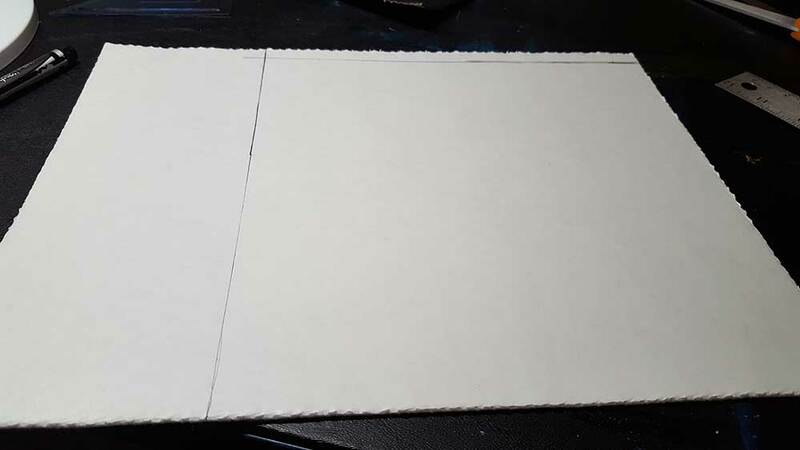 This is probably the simplest project I'll ever post here. I made some dice trays for game night. At about $6 each, they're super affordable and you can easily make one in about five minutes, so I thought I'd show you how I did it. 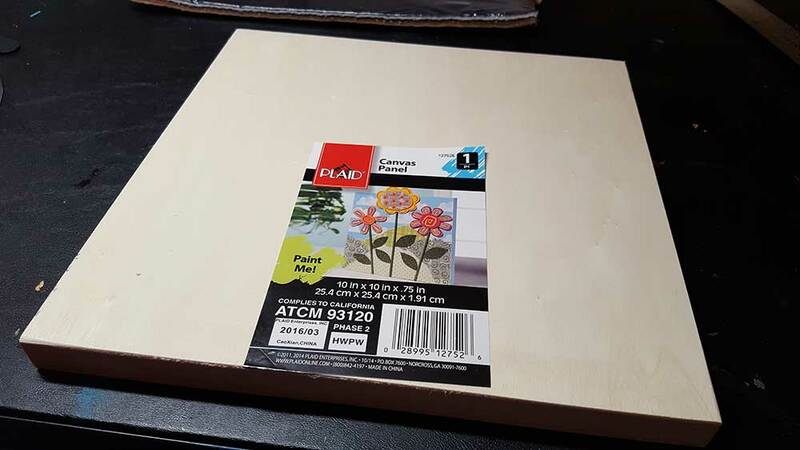 First up, I purchased three of these wooden canvas panels for $5 each. You can find them at any craft store and they come in a variety of sizes. I recommend getting thet 10x10in ones. They're a good size for gaming and it's easy to find felt to line them. Be careful - some of these can be really expensive ($15-20). Just get the cheap ones. I found these at WalMart. 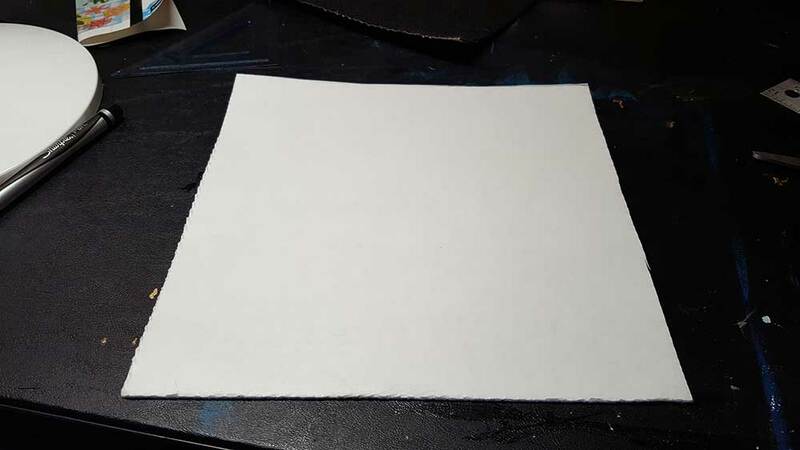 Next up, get some felt sheets with adhesive backing. You could glue felt down yourself, but... don't bother, unless you can't find the felt with adhesive already on it. This is so much easier. 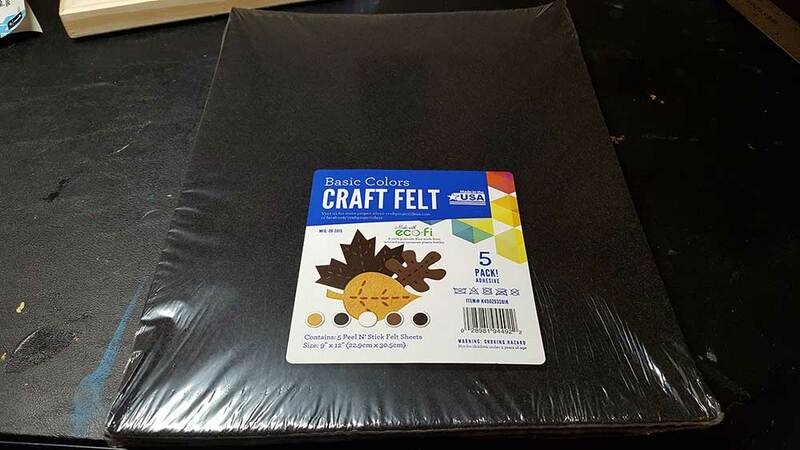 You can get a 5 pack of felt sheets for about $5. 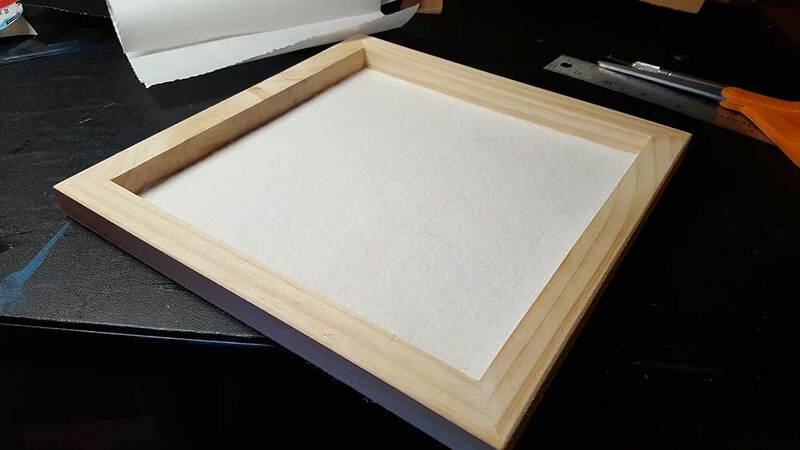 Flip your wooden panel over and measure the inside dimensions, then flip your felt over and mark the paper on the back to 0.25in smaller all around. 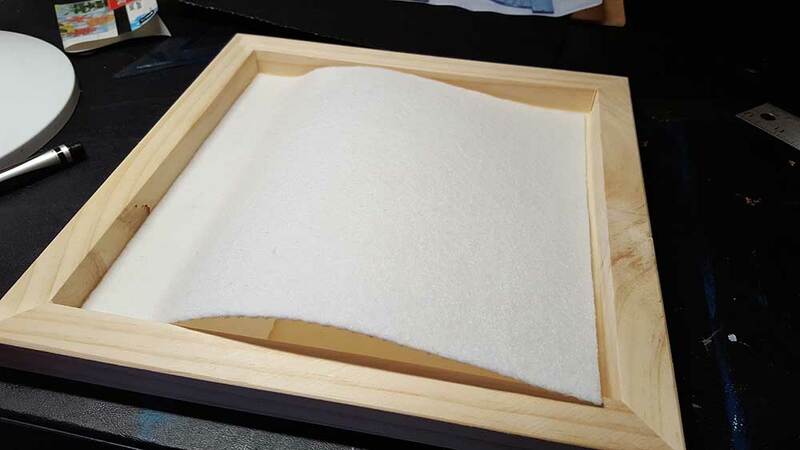 For these particular 10x10in wooden canvases, the inside dimensions are 8.5x8.5in, meaning you'll cut your felt into an 8.25x8.25in square. Cut your felt - you can use a straight edge and Sword of Exact Zero if you like, but I just used scissors - it doesn't have to be perfect. 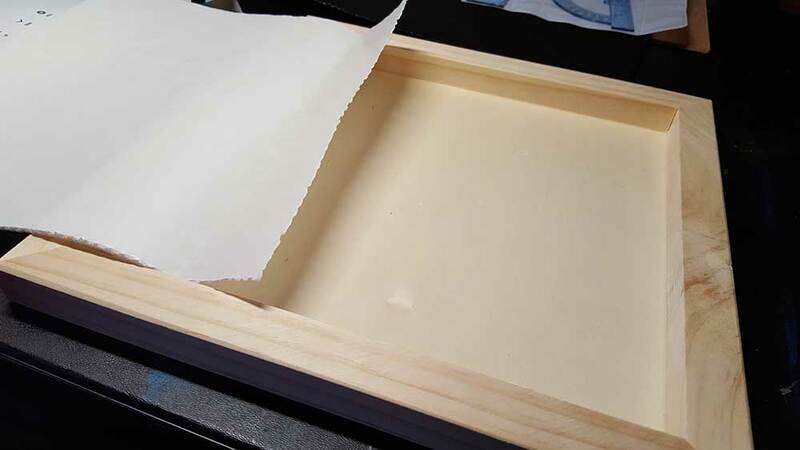 Now start peeling back one corner and sticking it down to the inside of the wooden canvas (sorry, I used white felt here with a white backing - I didn't think to take photos of one of the other colors). Once you get it started, just slowly pull off the backing and lay down the felt, smoothing it out as you go so there aren't any wrinkles. Once the felt's all in place, you're done! If you wanted, you could paint these or sand/stain the wood before putting the felt in place. If you do that, I recommend leaving the inside, where the felt adheres to untouched. I just wanted something simple and convenient, though, so I left the wood natural. I hear you wondering (as I did the first time I made these) how well does the adhesive on the felt hold to the wood? Well, I made three here because we recently expanded our gaming group to eight people. I already had five at home that I'd made over a year ago and they've all held up just fine.